It might be time to stop for a second : Diplo (pop star dj, come on now !) Skillex ( you know, the kid who has conquered the world by embrassing the dark side: dubstep) and hip hop electro canadian dj A-Trak have decided to built a youtube network called Potato. So far so good, it makes sense to built a common center of energy and production about the music they do. 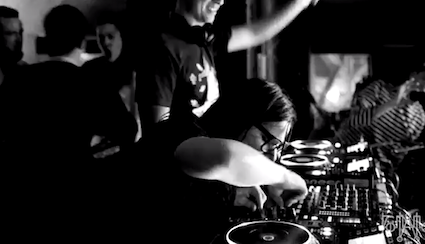 So with much confidence, they have released the first production of their network: a documentary about where it all started Detroit, featuring Skrillex himself and Boys Noize but also Kevin Saunderson (the only one who was actually around at the time). Now I start to feel unconfortable when a see young millionaires feeling they belong the beginning of a music that no one listened to, when they are exactly doing the opposite. Producing the most industrial and marketed music in the world will never ever make you an outlaw, but it seems everyone has forgotten about that now… The beginning were pretty much way darker that those dysney world band of djs… ok I got carried on…Watch !